Two weeks ago we debuted part one of our Six Principles of Influence, and How to Use Them, and today’s post will focus on the remaining three principles: Reciprocity, Commitment/Consistency, and Liking/Rapport. Reciprocity, or the Law of Reciprocity as it is known, states that people want to give back to others who have given to them. Like consensus, this dates back to hunter-gatherer times, where the hunters would go out to get food while the other tribe members stayed and watched over the village and tended to other needs. Reciprocity developed here because the village knew that they would be getting meat and food when the hunters returned, which they needed to survive. On the flip side, the hunter who brought the food needed to know that if they returned frail or hurt there would someone in the village to take care of them and nurse them back to health. Reciprocity started out mainly as a symbiotic relationship and has stayed ingrained in our consciousness and subconsciousness ever since. Reciprocity can be seen at play with holiday cards, a tradition that many people take part in each year. If the Smith family sends you a card, you will feel indebted to them and want to send them a card back, even if you don’t like the Smith Family! With the law of reciprocity in play, we often find ourselves in situations like this with gifts, favors, and help, because people want to give back to those who have given to them. They are compelled to give back in order to remove the feeling of indebtedness they have from the original action or deed. To use reciprocity effectively, it is important that you, as the giver, extend a given kindness first versus waiting for it to be shown to you. 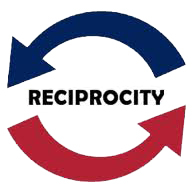 On top of this, reciprocity will be amplified to the extent that it is meaningful, unexpected, and tailored. Giving something meaningful means that it provides true value for the other person. Making the gift unexpected helps people feel even more special, because the gesture has taken them by surprise. Finally, making your gift personalized is the capstone that will truly amplify the influence of reciprocity. This can be easily accomplished by giving someone something with their name on it. Imagine you are a writer, and out of the blue a friend gives you a customized stationary set with your name in the letterhead. You would feel surprised and would greatly value the gift, and you would also subconsciously feel greatly indebted to that person, all because of the law of reciprocity. 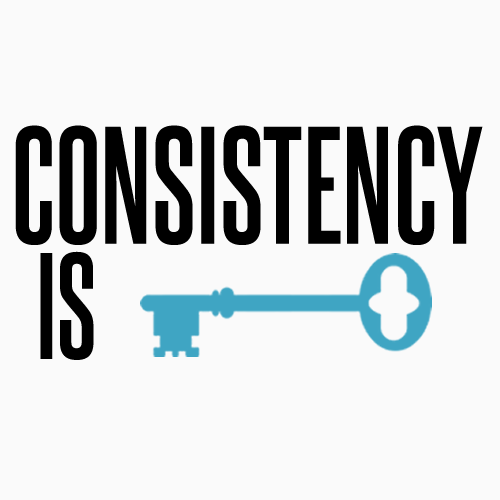 Commitment and Consistency revolve around the idea that people want their actions to be consistent with their words. Commitment can be seen in many different aspects of life, from business agreements to promising to help out a friend. There is an understood vow taking place where one person expects something of another, and that expectation must be fulfilled for people to be consistent. People who don’t keep their commitment are often shunned by others for this negatively perceived behavior. They are often labeled as liars or “those you can’t count on” because they don’t fit in to the paradigm of what has become the social norm and what people expect of basic human behavior. Oftentimes, people easily make commitments and end up not following through. This tarnishes their reputation and will hurt them in the long run, as they will begin to be known as someone who cannot be relied upon. When making commitments, it is important to start small, and not promise something immediately that will be hard to follow-through on. Keeping your commitments manageable is key; people frequently feel as if they have to agree to everything that is asked of them just to earn the praise of others. Interestingly enough, you will be judged more negatively if you make a commitment and don’t follow-through versus saying that you are unable to help from the start. This seems counterintuitive to many because they want to be the person who always helps out, but in the long run, if they aren’t delivering on their promises, people will not be coming to them for help, and will not be willing to help them in return. There are three main tactics you can use to influence commitments from others. The first is making the commitment active. Active commitments happen in the moment, meaning a request is made and answered shortly thereafter, and not after a longer period of delay. This makes the person really think about whether they can help, and makes them more likely to deliver on their commitment if it is made then versus at a later time. This is the difference between saying “I need you to do this for me,” and “I need you to do this for me, can you let me know now if this is something you’ll be able to do?” The second makes a stronger statement and is more likely to have the need fulfilled if the person agrees. The second tactic revolves around keeping commitments voluntary. It is important for a person to not feel like they are being forced or rushed in making a commitment they are considering. If this happens to be the case, they are less likely to deliver on the commitment, and even if they do end up delivering they will resent you for forcing them into doing something they might not have wanted to do. Even with active commitments, it’s better for a person to deny a request on the spot than to agree to something and not deliver. Lastly, making commitments public helps to ensure that they are followed-through on and completed. This goes back to the basic idea that people want to be consistent with what they say, so if they say something out loud where others can hear they are more likely to follow-through on that action. While public commitments work extremely well in group settings, this can also be done in one-on-one interactions simply by asking the person to answer you on the spot (similar to active commitments). This tip can be immediately used by anyone in the restaurant industry, often by asking patrons to “please call if you have to change or cancel your reservation,” which is often not honored by customers with reservations if they are unable to come. If, however, the restaurant asks “Will you please call if you have to change or cancel your reservation?” pausing and then waiting for the affirmation and commitment, people are drastically more likely to follow-through on the commitment that was made. The last principle of influence focuses on liking and rapport. Liking occurs when positive connections and similarities are established, as people are more likely to respond and listen to those who they have something in common with. What is amazing to note is that this commonality can be something extremely trivial, yet it can still have a strong influential effect. Think about meeting a stranger on a train, somehow a conversation is started and a few minutes in you learn that the both of you went to the same high school. This person shifts from being a stranger to being someone who you went through four years of schooling with and who you now feel more connected to, whether or not you were actually friends in high school. You automatically like them more because of that connection and similarity you made. 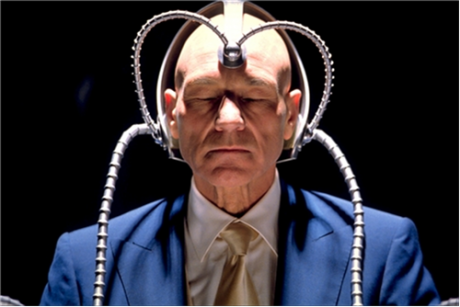 In business, this is often described as knowing your audience. If you know what makes them comfortable and how you can relate to them, then you will be better off for it. In a business setting, exchanging social information prior to starting negotiations can help prevent negotiation deadlock, solely based on the fact that people have already spoken with one another and have established common ground. This leads them to like the other people more, and thus not feel the need to compete as fiercely as they might have before had they not previously bonded. It is important to note that the similarities you mention or find with someone else should be genuine and not fabricated, lest you renege on influence principle #5 and become inconsistent with what you state. Liking and rapport can also be established by giving genuine compliments. The focus here is on being genuine, because if someone feels as if what you are telling them doesn’t align with what you’re actually feeling, then you run into an issue with consistency and the compliment won’t be accepted. A key aspect of liking and rapport also revolves around safety. If people are liked by someone, they have no reason to feel threatened and thus feel safe. They feel like their flanks are covered, and that they will be taken care of because you “like” them. This has a snowball effect, because once they let their guard down they will find it easier to like you than when the interaction started. Liking is easy to do and has many practical implications, all it takes is a genuine commonality or compliment spark for the fire of liking to be started.